You Are Here: Home » News » March 22, World Water Day, you too can take action! March 22, World Water Day, you too can take action! About 70% of the Earth’s surface is covered in water. But while water seems abundant, just 1% of world’s water is fresh (not salty) and available (not frozen). That mighty 1% provides all of our drinking water, keeps us clean and healthy, delivers food through fishing and crop irrigation, provides us with energy, and houses an incredible range of biodiversity. And that 1% is under threat. Pollution, dams, overuse, climate change and other impacts have made freshwater habitats and species more vulnerable than any other ecosystem type. More than one-third of all known freshwater fish are endangered, vulnerable or extinct. Our freshwater systems and the species that depend on them are being lost before we can even identify them. And it’s not just plants and animals that are at risk. Diseases caused by inadequate sanitation and unsafe water kill more people every year than all forms of violence, including war. Children in particular are at risk: every minute, three children die from a preventable water-borne disease. Almost all of these deaths occur in developing countries. We need to ensure everyone around the world has safe, sustainable access to fresh water for drinking, health and sanitation. Issues of water scarcity and poor water quality have serious economic consequences. 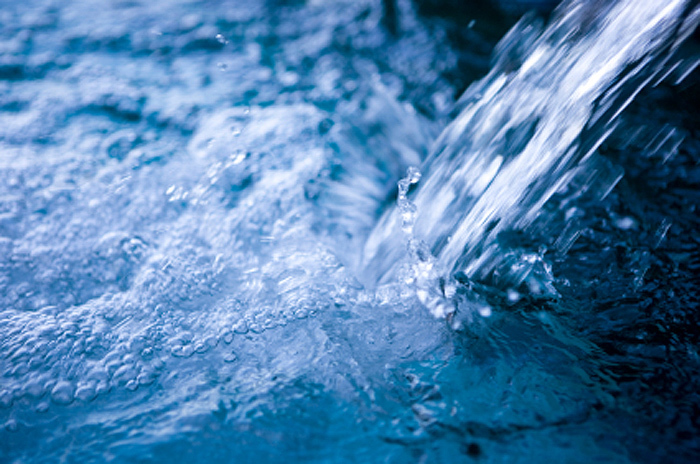 Almost all businesses are water-dependent one way or another, which is why many are now seeking to become better corporate water stewards and recognize internationally developed standards for better water use. We know fresh water is integral to our vision of building a future in which people live in harmony with nature. We are partnering with communities, governments, international agencies and conventions, non-governmental organizations, and businesses to conserve, protect and restore freshwater habitats around the world. Our work is grounded in the recognition that the threats facing freshwater systems are complex, and that protecting these ecosystems requires a comprehensive approach that addresses issues of flow, connectivity, water quality, and the integrity of freshwater habitats and biodiversity. We know no one organization can solve freshwater issues alone. Thankfully, we don’t have to. Express appreciation of fresh water by making a toast, taking a picture, and sharing it across social networks with #ToastToWater. Next time you’re near a river, stream or lake, take and pictures of the freshwater fish you encounter and upload them for conservation scientists around the world. Make a donation to symbolically adopt a freshwater species, such as a pink river dolphin or hellbender salamander. The average roof collects 600 gallons of water for every inch of rain. Capture some of that stormwater and help protect freshwater resources by building a rain barrel. Water is in almost everything. Take your average cotton t-shirt as an example: it can take 2,700 liters to produce the cotton needed to make a single t-shirt. While it’s important to fix leaky taps and buy efficient washing machines, we need to also be conscious of the unseen or “virtual water” we consume every day.